Dear Chris Brown: Losing your temper after being questioned about losing your temper doesn’t really help your cause. Or your probation status. 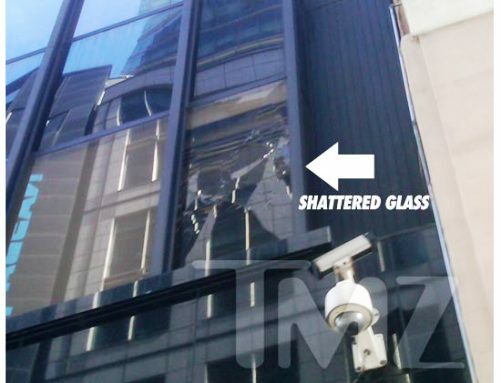 Chris Brown went all rock star in his dressing room over at Good Morning America this morning and smashed the window with a chair. Allegedly. No one actually saw him do it because he was alone in the room – but he was definitely in the room when the window broke. The singer’s violent expression of his frustration and anger occurred upon returning to his dressing room after being interviewed by GMA’s Robin Roberts. During the interview, Roberts asked questions about Brown’s legal problems since the Rihanna incident and was met with Brown’s attempt to redirect the focus to his new album. Roberts continued with her Rihanna questions and by the time Chris Brown got back to his dressing room, he was fuming. [TMZ was] told after the interview, Brown freaked out, storming into his dressing room and screaming so loud, the people in hair and makeup became alarmed and called security. …by the time security rushed the area, Brown had ripped off his shirt and left the building, blowing off another performance he was supposed to do for the ABC website. And sources say … on his way out of the building, Brown confronted a segment producer, got in his face and stared him down. People from the show got in between Chris and the producer to diffuse the situation. After the incident, Chris Brown took his tantrum to Twitter. That tweet was subsequently removed and in its place he left a message for his fans. Here’s the interview that started it all…..
previous post: Check Out The New Wonder Woman. Now Excuse Me While I Gag.